As women begin to age, there comes a point where they become concerned with developing better skin care habits. Things that worked in their younger years no longer lend a hand and new problems arise where previously, there were none. Targeting specific problem areas may be at the top of your list to reduce the appearance of aging in forms such as wrinkles, creases, and fine lines. 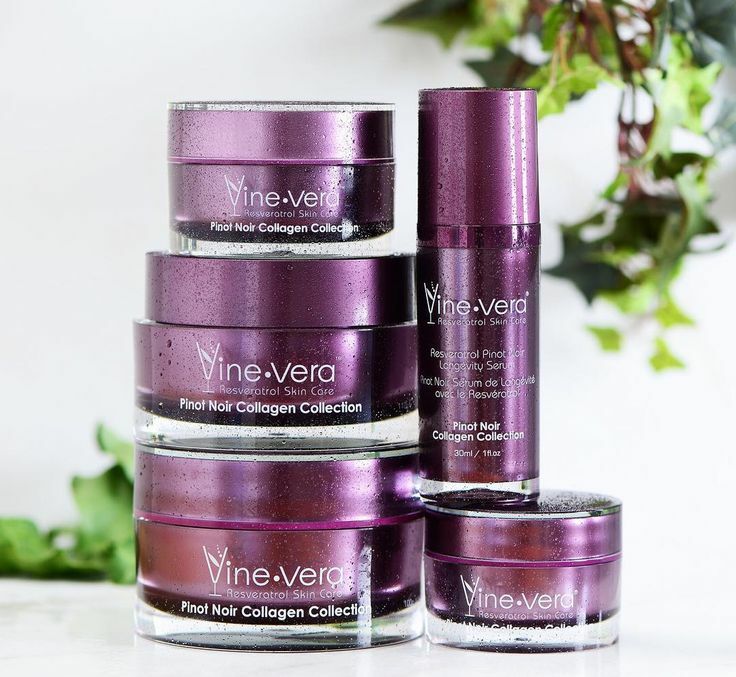 Perhaps the very thing you have been looking for is contained within Vine Vera’s Resveratrol Pinot Noir Collection and the skin beautifying properties contained within. Today, Vine Vera presents to you a beautiful infographic which will help you to understand the high-quality ingredientswhich go into crafting our products, with vibrant pictures of each product also included. Some of the many various ingredients used within this collection are fruit extracts, green tea, acetyl hexapeptide-8, collagen, vitamins, and natural oils along with our star ingredient, Resveratrol. Resveratrol is found in the skin of dark wine grapes, and has been shown in various reports to reduce the signs of aging dramatically. 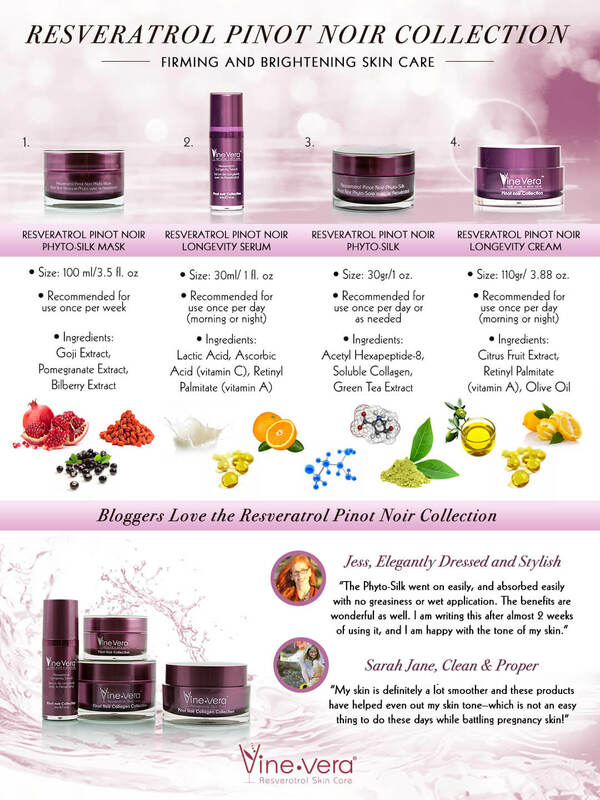 If your skin could use some brightening and tightening, look no further than the Resveratrol Pinot Noir Collection, available exclusively from Vine Vera.